On a rainy Sunday afternoon, some of us were watching reruns of Saturday Night Live. One of the episodes had Jennifer Aniston hosting the show, and a little into this skit, we see Fred Armisen ROCKING a Hofstra t-shirt! How cool is that? 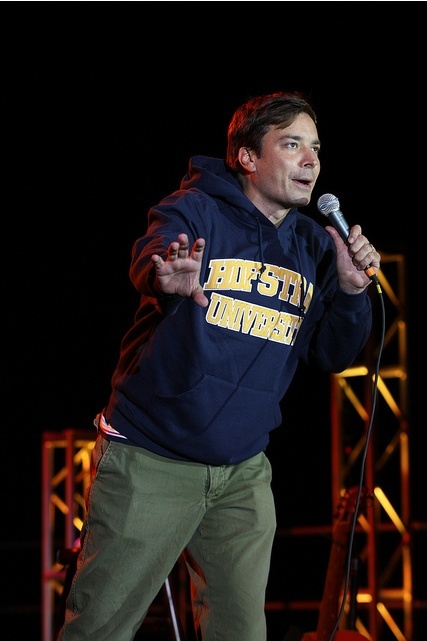 It seems like Hofstra has a history of getting love from the cast of SNL. Remember when Adam Sandler wore a Hofstra Lacrosse t-shirt on Jimmy Fallon - who, by the way - performed at Hofstra in 2010?! This is just how we roll!